God’s love is unchangeable; He knows exactly what we are and loves us anyway. In fact, He created us because He wanted other creatures in His image upon whom He could pour out His love and who would love Him in return. He also wanted that love to be voluntary, not forced, so He gave us freedom of choice, the ability to say yes or no in our relationship to Him. God does not want mechanized love, the kind that says we must love God because it’s what our parents demand or our church preaches. 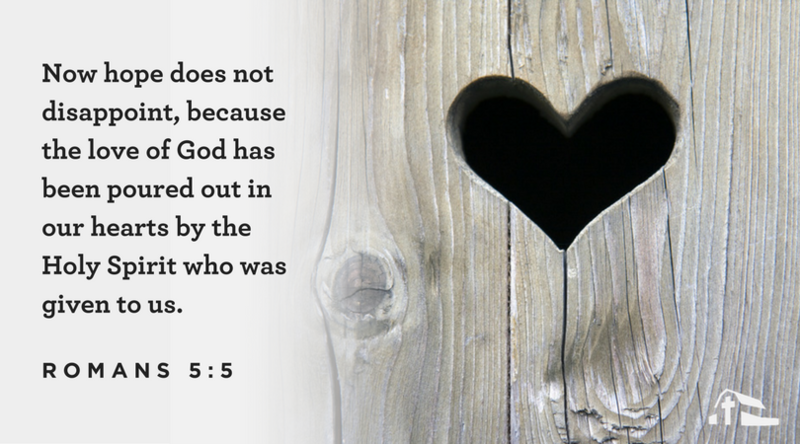 Only voluntary love satisfies that heart of God. God is a God of love, and He is not blind to man’s plight. From the very beginning of man’s journey, God had a plan for man’s deliverance. In fact, the plan is so fantastic that it ultimately lifts each man who will accept His plan far above even the angels. God’s all-consuming love for mankind was decisively demonstrated at the cross, where His compassion comes from two Latin words meaning “to suffer with.” God was willing to suffer with man. God’s love did not begin at the cross. It began in eternity before the world was established, before the time clock of civilization began to move. The concept stretches our minds to their utmost limits. Can you imagine what God was planning when the earth was “without form and void”? There was only a deep silent darkness of outer space that formed a vast gulf before the brilliance of God’s throne. God was designing the mountains and the seas, the flowers and the animals. He was planning the bodies of His children and all their complex parts. How could creation be by chance? Even before the first dawn, He knew all that would happen. In His mysterious love He allowed it. The Bible tells us about the “Lamb who was slain from the creation of the world” (Revelation 13:8). God foresaw what His Son was to suffer. It has been said there was a cross in the heart of God long before the cross was erected at Calvary. As we think about it we will be overwhelmed at the wonder and greatness of His love for us. I appreciate the ministry of Billy Graham. When I was about 12 yrs. old Billy Graham came to Charlotte for several nights of preaching. My family and I were privileged to attend this crusade. I was already a Christian, but I felt led of the Holy Spirit to go forward for prayer. I received Christian Discipleship for several years from Billy Graham. That was the way I was trained to grow as a Christian. I praise the Lord for Billy Graham and his family and now for Franklin and how God is using him. I pray every morning for Billy Graham, Franklin and the ministry. 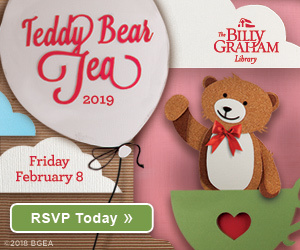 Happy Valentines Day to Billy, Franklin, Anne, and all the Graham family. May Our GOD continue to bless each and everyone @ the ministry. Thank You all for such a Heart felt message about the Love of Our LORD GOD. May I continue to remember it, I believe the Holy Spirit is with you all. May we all meet in Heaven if not on earth first! In JESUS’ Name, Amen, & Amen. Again Happy Valentines Day to GOD and all! I need to read more of these words to survive in this world. Thank you for your evangelism. This puts in perspective the eternal, brilliant love of G-d for His people-ALL of us! Also gives me encouragement (and thoughts) to present to people I encounter who need to hear this message. THANK YOU! — Mr. Graham, and your ministry. God created every thing that is good, everything bad is Satan.I look back on my life and without God I’m nothing, he is the rock of our lives. He gave his only Son Jesus , with out human kind would be doomed. Jesus said no man comes before the father except buy me. With out his sacrifice man kind would be doomed. 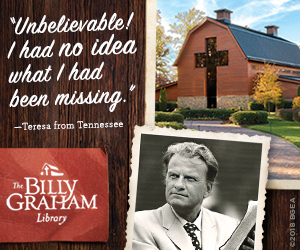 I am so thankful for the Billy Graham Classics that I watch on TBN each week. They are even more special, uplifting and strengthening today in such difficult times. I am so thankful for Franklin Graham and how he continues his father’s ministry. God must truly love them both so much. Thank you for this Blessing. I needed it!!!!! You are a great man of GOD. You have inspired me into LOVING GOD since 1974. May GOD bless you much. Perfect, beautiful description of God’s love for us! Thanks for a wonderful lesson….Is true only LOVE of GOD never change since the beginning of His plan to create the earth. Thank you for always reminding us of our amazing God and what He has done and continues to do for us. We seek always to glorify Him. In His infallible word is life and love and the only manual we will ever need until Jesus returns and we are one with Him forevermore. May our Lord continue to richly bless you, your family and the Billy Graham Organization. WHAT A GREAT MAN BILLY GRAHAM WAS AND STILL IS! I am so thankful that God also chose me before the creation of the world according Ephesians 1. 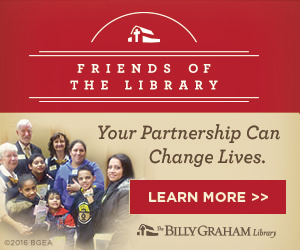 Thanks for all that BGEA does. So true, up lifting and encouraging. 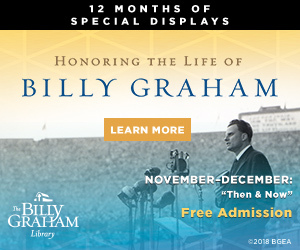 Thank you for the continued emails from Billy Graham. I always read them. I know I need to grow closer in my relationship with Jesus and I am asking for a prayer request for that today. I have been a Christian for many years but I don’t feel my relationship is where it should be.